The owner of is Susan Detar. She is a Certified Mastectomy Fitter accredited by the American Board for Certification in Orthotics and Prosthetics. The facility is also accredited by the same accrediting body. Susan opened in October 2005. After helping a friend through bi-lateral mastectomy surgery and the subsequent fitting of prostheses and bras, she felt that the experience should have been more pleasant. It took six months of research and planning to put a business plan in place and open the shop. Susan’s vision of a warm, inviting boutique became a reality when a home in the south historic district of Palatka became available. It is a perfect setting for this specialty lingerie boutique. Susan’s commitment to her customers is to provide the right thing, at the right time and at the right place. This is a business philosophy learned in her prior career as a purchasing professional and allows for a more satisfying experience for the customer. No one will leave the shop with something that doesn’t feel perfect for her situation. If what she needs isn’t on the shelf, product will be ordered for her. Every contact must instill trust and earn loyalty. In 2006 Billie became a member of staff when Susan adopted her from the local Humane Society. She has become an important component of a visit to the shop. She is greeter, playmate, hand holder and listener to our visitors. Susan and Billie are a Delta Society registered Pet Partner Team and participate in volunteer activities at various healthcare facilities in the area. They are discovering first-hand “The Human-Animal Health Connection”. 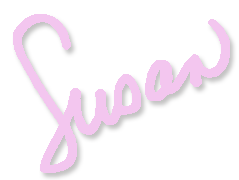 Over the years Susan has discovered a number of other unmet needs and she has endeavored to fill the gap. Fittings for non-mastectomy bras are a large portion of her business. She carries a number of styles of bras for the hard to fit women. Another area that Susan identified is compression stockings. Measuring and fitting these garments has become an important service at the shop. Please come for a visit and see how we can help. 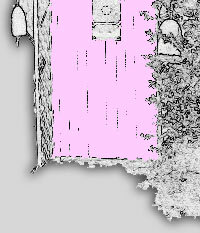 Copyright 2013 The Pink Door.